The Xiaomi Mi Band 3 is an affordable and long-lasting fitness strap. It is the successor of the Mi Band 2, one of the most successful products of Xiaomis partner Huami. If you are looking for a wristband designed for exercise and still offer some intelligence in the style of a smartwatch, look no further. 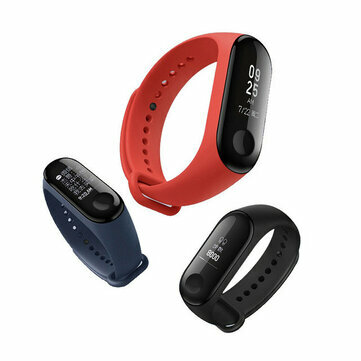 Xiaomi launched its new fitness monitoring device on May 31, 2018: Xiaomi Mi Band 3. The Chinese brand had already released the product in China. It is no accident that the Xiaomi Mi Band 2 is one of the bestselling fitness trackers in the world, and Mi Band 3 will not disappoint you. We bought our test device in China from jd.com. The list price in China is about $30 (we paid about $35). In Chinese shops the price currently varies between $42-50, but we expect a significant discount in the near future. At first glance, the new Mi Band is not a significant update to its predecessor. The design is a little more elegant and modernized. All previous legacy features are preserved but have been slightly modified and improved. However, it is the small details making the new edition of the gadget a true highlight. The new OLED Display is now 0.78″ with a resolution of 128 x 80 Pixels. That’s a massive 85% increase to the Mi Band 2. Finally it is possible to actually be able to read message from the screen. Xiaomi says up to 26 Chinese characters fit on the display – this exceeds the average message length on messaging apps like WeChat in China. Unfortunately, languages that are not character based may need multiple screens for a single message. The Band stores the last 5 messages and divides them into multiple screens, if necessary. Another aspect of relief is the 110mAh battery, which, despite the bigger display, has a range of about 20 days. If you work out every day and permanently use the heart rate monitor, the battery life will decrease. The great technical highlight of this device goes to its resistance underwater, supporting up to 50 meters. Every sport I can think of can now be done with ease. Due to Bluetooth 4.2 there is no connectivity issues either and even at around 20 meters the connection still holds. Be aware, that the Mi Band itself does not have a GPS-chip. To make up for that, the connected App uses the phones location to recreate routes and accurately measure distances run. The heart rate monitor on the back has once again been improved by Huami. Nevertheless, the measured results shall be considered as reference points and can not replace proper medical devices. To start the feature simply swipe through the menu and hold the touch button. In sports mode (e.g. running or swimming) the device is capable to constantly record the heart rate. Here is a quick first impression of the Xiaomi Mi Band 3, which runs in Chinese for us. The operation by touch is intuitive, and the ugly ‘back button’ of the 2nd generation has finally been replaced with a more subtle version. The bracelet can be changed, and the user can choose several color options with their purchase. The options currently available are black, orange, and blue, and more options may appear later. Soon there will be more professional looking wristbands made of leather or metal. My personal highlight is the variant with NFC, currently available only in China. Owners can now use Xiaomi Pay from their wrist. The same applies to buses and subways in 187 cities in China. A scan with the fitness tracker is enough to pay the fare or to open the barrier. Don’t pay for NFC! There is yet no partner companies outside of China supporting contactless payments via NFC rendering the feature useless and not worth the extra cost. Nevertheless, the Mi Fit app is not only available in almost all languages, but also incredibly simple to use. All functions can be controlled via smartphone unlocking the full potential of the Mi Band 3. With the app, features such as notifications, sleep tracking, smart alarms and more can be controlled. My favorite is unlocking the screen via Mi Band 3 since no PIN or fingerprint is needed. However, if you use facial recognition with your smartphone, it feels redundant to me. Here in China, the data is passed directly to WeChat and can be compared directly with friends. The app automatically takes over the system language of your smartphone, if supported. Unfortunately, the feature range did not change significantly with the 3rd generation fitness tracker. If privacy is of great importance for you and no data shall be passed to Xiaomi, I have found a solution. The open source App GadgetBridge (only Android) let’s everyone use the Mi Band 3 and other Chinese fitness without connecting or creating an account. Get GadgetBridge and “Free Your Gadgets” from third parties! Currently, Mi Band 3 is not officially supported, but it will only be a matter of time before GadgetBridge developers take care of it. You will not lose any functionalities, besides the integration with third party apps in China – irrelevant for most customers abroad. A great alternative to say stop to user data as currency and growth medium for companies. Why buy the hardware, if one never owns their data? Mi Band 3: Worth to upgrade now? Xiaomi Mi Band 2 is currently the best-selling smart bracelet on the market. Its main advantage is the low price of $25 to $30 – no other brand can compete on this level. The new Mi Band 3 price is still slightly steeper, but still very affordable. so it’s a slight expensive device, though still very affordable. For owners of Mi Band 1 or 2, I currently see no reason to replace it. The most important feature, the pedometer for sports activities, has improved only slightly. 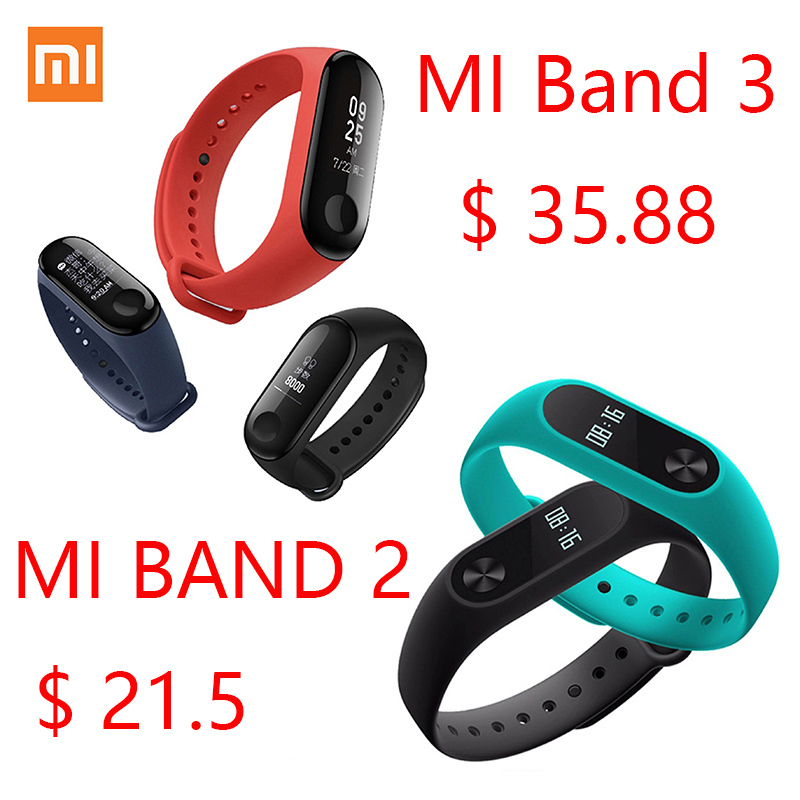 The pulse can also be measured with the Xiaomi Mi Band 2, and since the battery life is the same, I see with the Mi Band 3 no reason for an upgrade. However, if notifications, sleep measurement, and all other features are used, the large display is definitely a great asset that makes life easier. Design wise, Xiaomi has also gone the right way, making it even easier for users to wear the Mi Band unobtrusively. As soon as the first third-party start to offer leather or metal bracelets, there are also lovely alternatives for everyday life. If the prices fall in the next few months to around €25-30, then it is worth a good buy. Overall, Mi Band 3 is a successful upgrade with the refined product but does not really offer significant new features. The price is again unbeatable compared to the competition! For the time being, however, the fitness bracelet will be only available in China, and the NFC function not only binds users to the ecosystem but also saves them time and nerves in chaotic China.